What’s the future for book shelves? With the rapid adoption of eBooks, the Minneapolis Star Tribune newspaper investigated the future of bookshelves. “Books have played a major role in shaping the American house. But with e-readers rapidly turning bookworms into techies, what’s the future for home libraries, bookshelves and coffee-table tomes? The library/sunroom in Jim Noble’s 19th-century Minneapolis house is all about the books. Leather-bound volumes, many of them antiques that have been in his family for generations, fill floor-to-ceiling shelves that line an entire wall. Michael Jones also loves books. But his loft condo in Minneapolis doesn’t have space for a traditional library. He still buys books but downloads a lot of his lighter reading material on his Kindle. 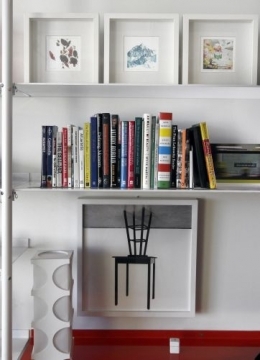 Recently he added a custom built-in bookshelf to his living room — mainly to display his art collection. “I was running out of wall space,” he said.